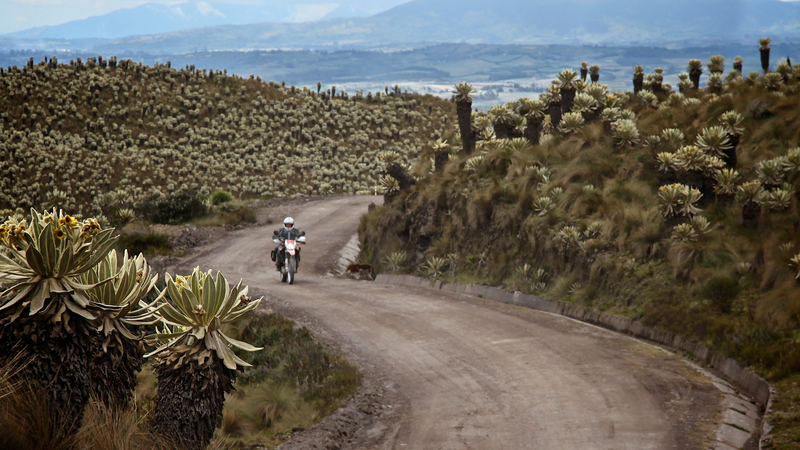 I am probably not unlike many motorcyclists in that I often dream of extended travels to the deepest corners of South America. It’s an intoxicating fantasy filled with the rumble of a well tuned engine, never ending roads connecting quaint villages, rustic roadside inns, and all of the charms we associate with the lower Americas. 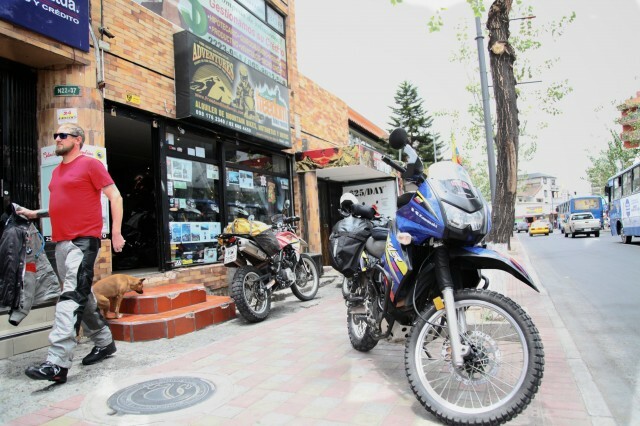 Until recently, the only way to get your South American riding fix was to either ride or ship your motorcycle there. For travelers like me, I simply haven’t the time or means to dedicate to such a protracted or expensive journey, but that doesn’t mean I have to miss out on the experience altogether. Over the last few years as the popularity of off-road touring has exploded, so too have the opportunities to scratch that itch. 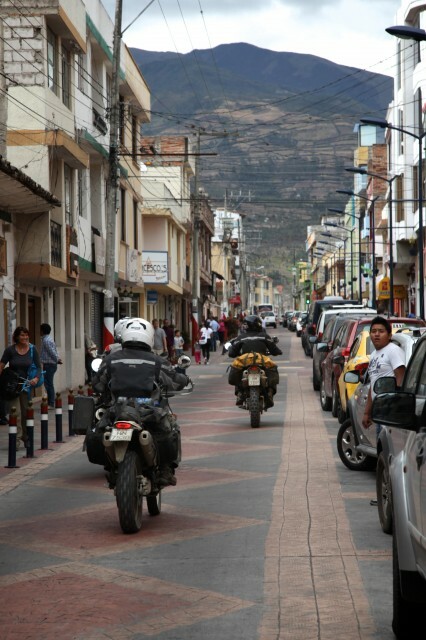 Companies like Ecuador Freedom Bike Rental are now providing riders with turn-key tours making South American motorcycle travels easily achieved. 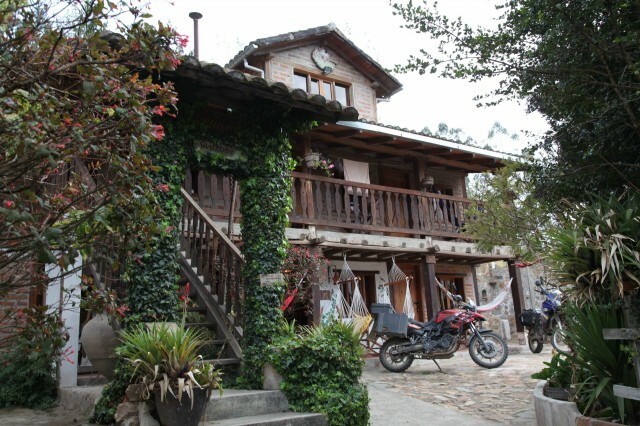 Founded by Court and Sylvan, two well-traveled adventure riders themselves, their Quito based operation has a fleet of more than twenty well maintained motorcycles of all makes and models. Providing self guided and fully supported tours, their routes cover the diverse regions of Ecuador from the densely vegetated Amazon Basin to the rarified air of the Andes Mountains. With trips starting at just four days to longer journeys up to twelve days, they offer something for everyone whether you prefer dirt, pavement, or a carefully crafted mix of the two. 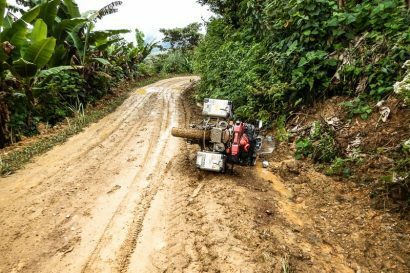 Just last week, my friend Justin Julian and I had the good fortune to join Court and Sylvan on their six-day Off-Road Ecuador adventure. 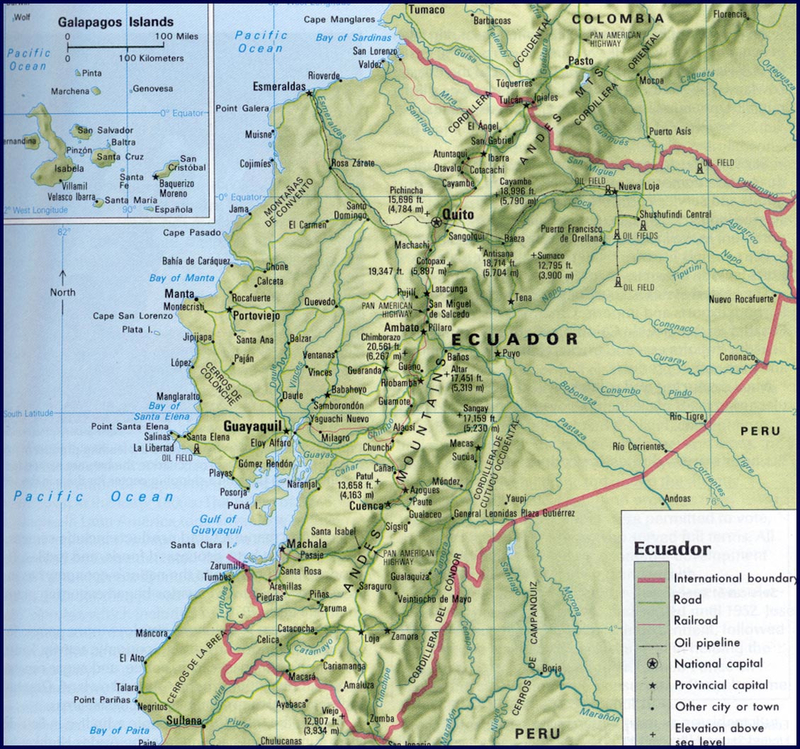 It gave us detailed insight into their company, their philosophy of travel, and why they chose Ecuador as their adopted home. Sylvan prepares to launch their video drone. It’s all about capturing the experience for these two. In an earlier life I was a travel guide in Europe and Alaska and have a deep appreciation for the client/guide relationship. In my humble opinion, the tell-tale sign of a good guide is where they live. 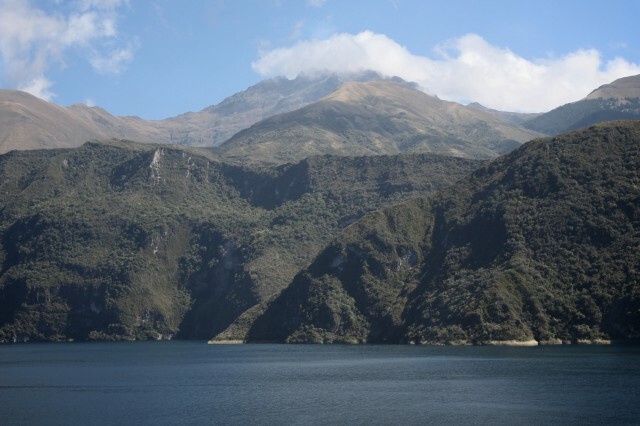 Many companies providing tours within South America are not residents of those regions but simply swoop in, knock out a few tours, and fly home. 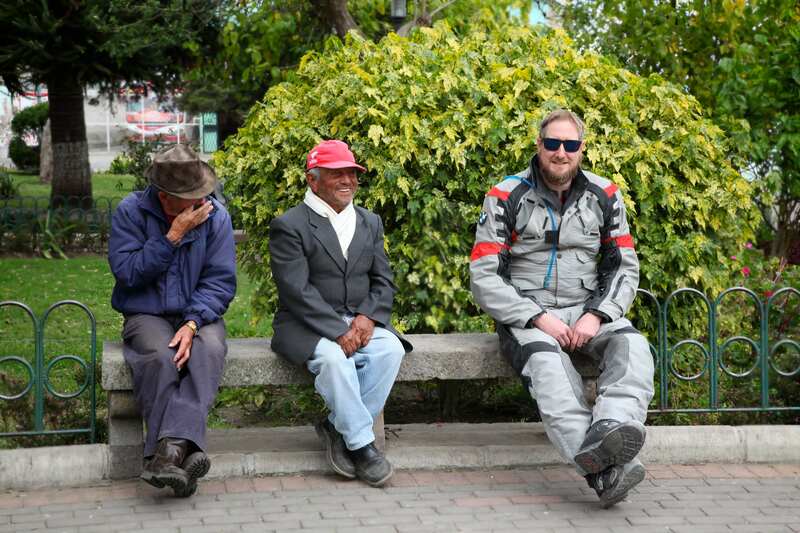 Court and Sylvan, after a year traveling the Americas on motorcycles, made the conscious choice to call Ecuador their home and over the past five years have developed friendships with the people along their routes. From a client’s perspective, that provides priceless x-factor. As we made our various stops throughout each day, Court and Sylvan were quick to introduce us to the people along the route, people who have become their––amigos. Little details like these are impossible to replicate by the fly-in tour companies. 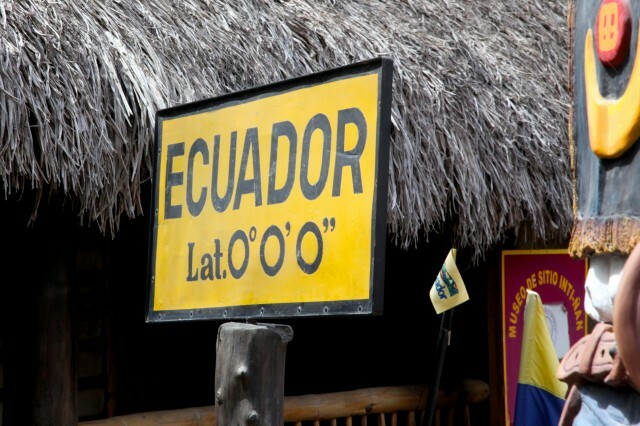 As well traveled as I thought I was, I had to admit I knew very little of Ecuador prior to stepping off the plane in Quito. After just twelve days on the ground, I can say with conviction that I will most certainly return. 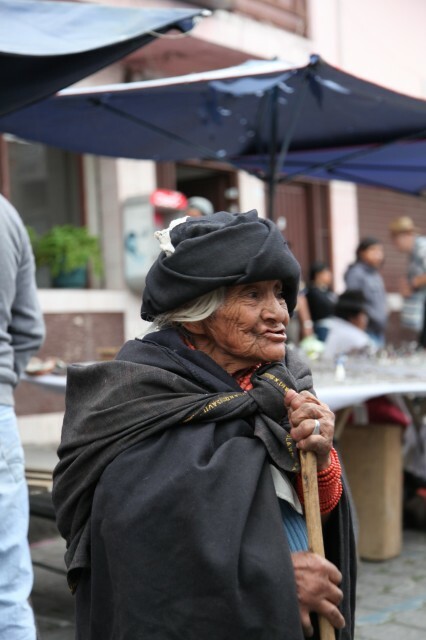 Although not a big country by South American standards, it is diverse in its landscapes, has a textured history, and is populated by some of the most hospitable people I have ever met. 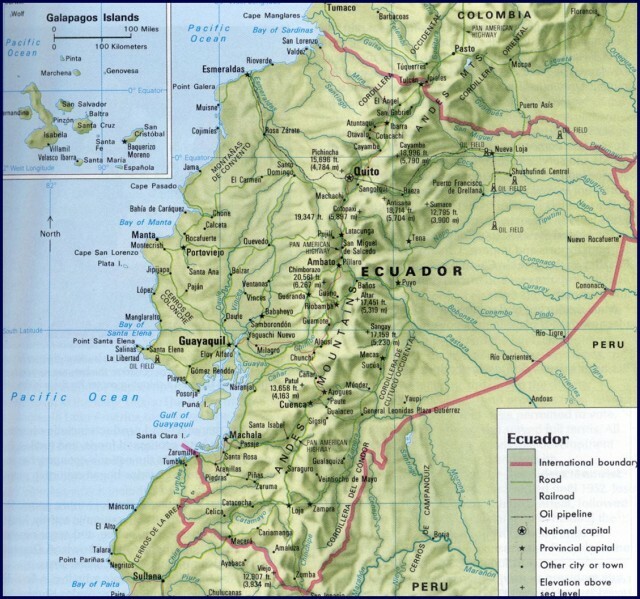 In an age when travel safety is of paramount concern, there wasn’t a day in Ecuador that I didn’t feel wholly welcomed by its people. From the capital city to chance encounters with locals in the most remote corners of the backcountry, the people were warm and gracious, smiles and curiosity the backdrop to every interaction. Even when traversing areas considered dangerous by the U.S. State Department, we were treated with nothing but kindness. 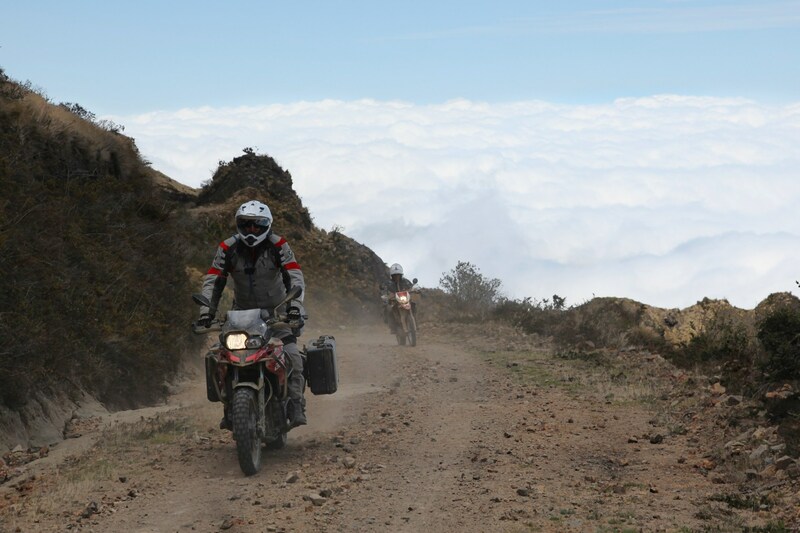 By mid day, most of our rides had us well above the clouds, high above 13,000 feet. 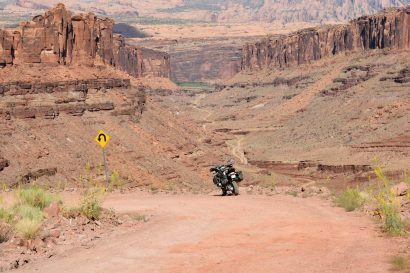 I have been fortunate enough to ride many of the most celebrated motorcycle destinations in the world from the Alps to Baja. 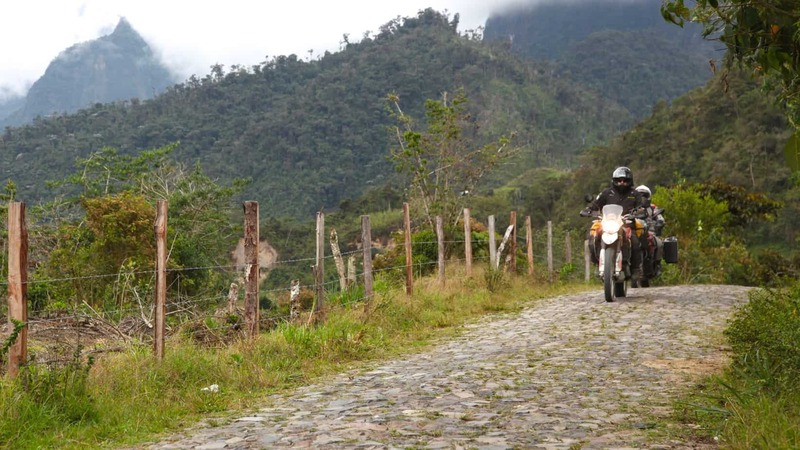 Riding Ecuador’s paved, cobbled, and dirt roads just might top them all. 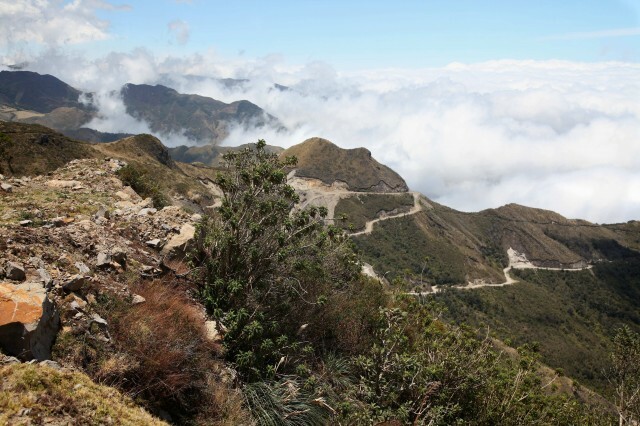 I had never heard of “Incan Pavement” until my wheels rolled over it, but I will never forget the experience. The work that went into building hundreds of miles of stoney roads is mind boggling and the quality of the ride is superb. To think sections of these roads may have been 400 years old is hard to comprehend. For our trip, one billed as an off-road adventure, we traversed hour after hour of beautiful dirt roads, some sections offering just the right amount of challenge, most not so difficult as to detract from our ability to take in the views lining the route. Each day our bikes would transport us above the clouds, the high points often reaching well above 13,000 feet. When the dirt would turn to pavement, the revs would build, the speeds increase, and I have to admit, carving Ecuadorean tarmac is as good as it gets. 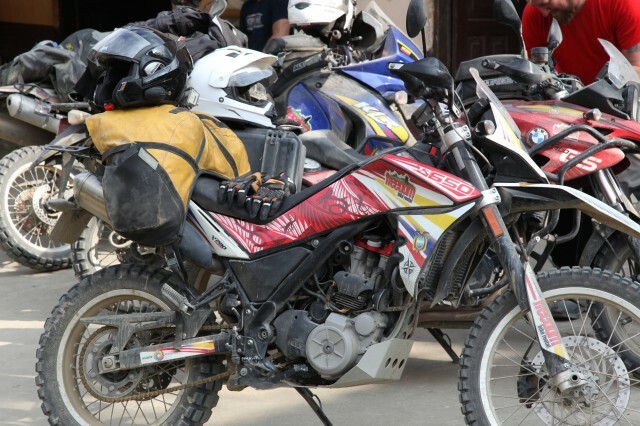 Riders have close connections with their steeds and the thought of riding someone else’s bike often holds little allure. Standing in Freedom Bike Rental’s office in Quito, surrounded by beautifully maintained motorcycles, I felt like a kid in a candy shop. 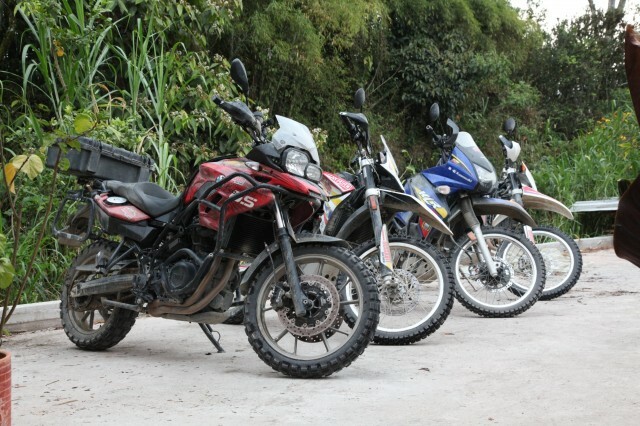 Their inventory of bikes includes Husqvarnas, Triumphs, BMWs, and even the latest Suzuki V-Strom 1000. It’s easy to see, Court and Sylvan are if anything, motorcycle enthusiasts. There’s no better way to unwind from a long day in the saddle than a dip in a pool or natural hot spring. Like many riders, I’m not afraid to sleep on the ground, but I won’t ever shy away from a nice hotel. 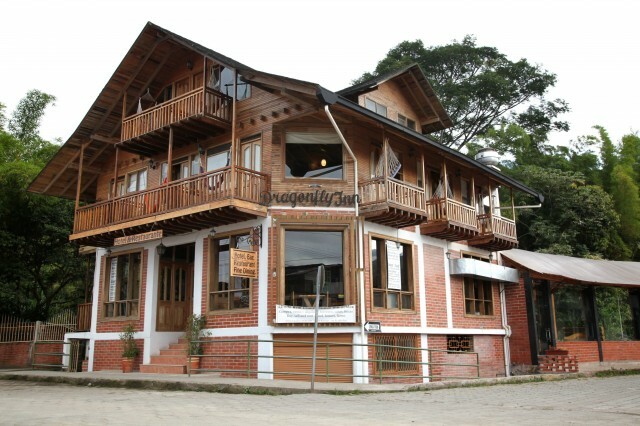 Despite the fact Ecuador’s more remote areas have few options, our route seemed to always converge with a great hotel, just as our day came to a close. 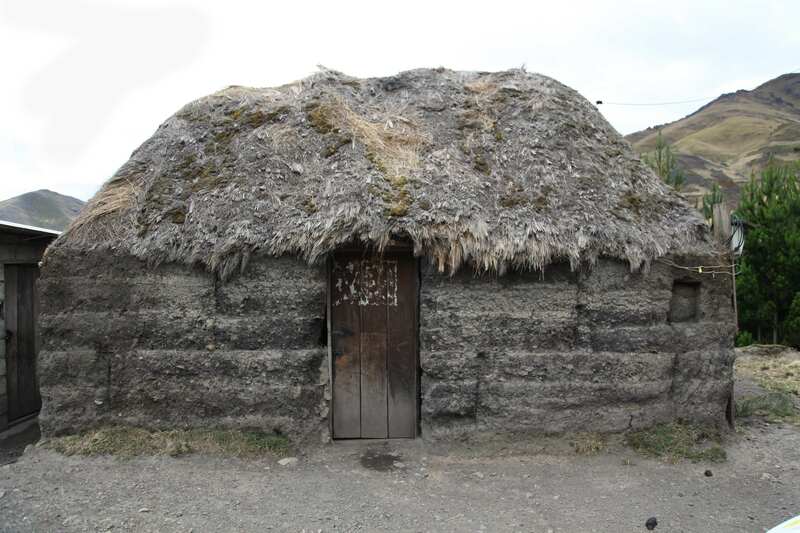 It would be fair to say some of the hotels along our ride were more rustic than others, but every night was comfortable, clean, and relaxing. Having breakfast on a veranda overlooking a coffee plantation shaded by banana trees is a great way to start the day, especially when that breakfast is accompanied by freshly brewed coffee acquired in a tiny village the day before. Justin the Giant made quick work of making new friends where ever we went. 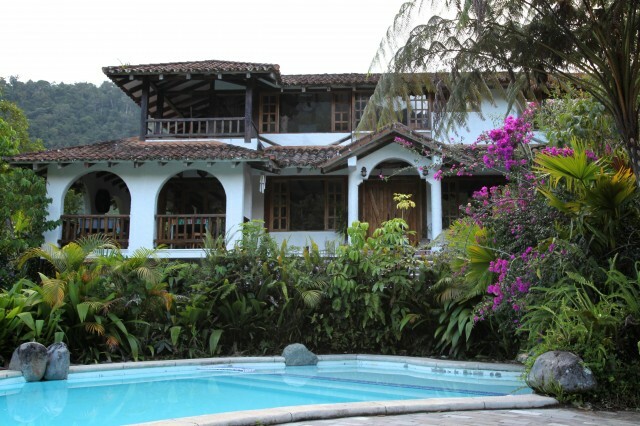 It would be impossible for me not to rave about our time with Ecuador Freedom Bike Rental. Court and Sylvan created a six day experience that was beyond our wildest expectations. 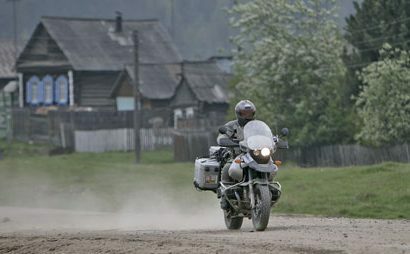 The riding was superb, the accommodations and food excellent, and our guides were good pals by trip’s end. We couldn’t have asked for a better trip, a trip I will report in full in an upcoming issue of Overland Journal as well as here on Expedition Portal.